Here you will find some Historical information on the communities at the foot of the Knockmealdown Mountains in South Tipperary. 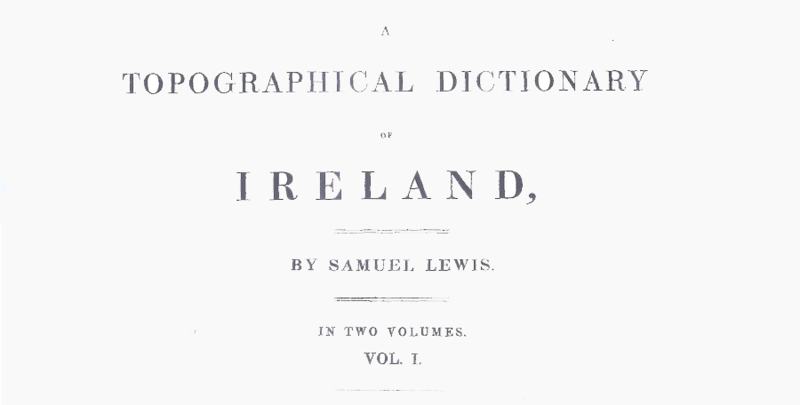 Here you can find the Tipperary reference in Lewis’ Topographical dictionary. Newcastle is a village at the mouth of the lovely Nier valley on the River Suir 5 miles south east of Ardfinnan. Here on the bank of the River Suir are the remains of the Prendergast New Castle. It was here at New Castle that Sir William De Prendergast, First Lord of Eskertenan, and second son of Phillip De Prendergast, in about 1230, obtained Newcastle from Jeffrey de Marisco in exchange for other lands, the castle is given elsewhere as being owned by the Birmingham family. It eventually passed to the Perry family at the time of the rebellion. It was in ruins in 1832, after being destroyed by Cromwell’s orders in 1649, and forms a very picturesque feature on the bank of the Suir. One mile north east, on an overlooking hill, are the remains ( viz. the remains of the church and traces of the conventional buildings) of the New Castle manorial church, Molough Abbey. A nunnery dedicated to St. Brigid was founded here in the 6th century by the daughters of Cinaed, King of the Deise, whose seat was at Crohan. In the 14th century it was revived by the Butlers of Cahir. Ardfinnan (Ard Fhionain – possibly means Fionan’s Height) is a small village on the River Suir about 10 miles from Clonmel and 5 miles north of Newcastle. The name of the village commemorates St. Fionan Lobhar who founded a monastery here in the 7th century, the Protestant church now stands on the site. On a precipitous rock commanding the river-ford are the remains of a strong castle wrecked by the Cromwellians. Maurice De Prendergast is said to have built the castle (1199 – 1216), other records say it existed before this date and that Prince John had portion of it erected in 1185. Records seen for the 1700s refer to the Prendergast’s of Ardfinane Castle. The oldest part of the extant castle is a fragment of a late 13th century round keep . The tenancy in this area by the Prendergast family is undoubted and it appears that after the castle was destroyed by the Cromwellian forces in 1649 it was again obtained and re-built by the family in the 1700/1800s, Burke’s Colonial Gentry (1891-1895) and gravestone inscriptions at Newcastle show members of the Prendergast family again in occupancy. It seemed to be secondary to the Castle at Newcastle. The Parish Register for Ardfinnan lists many Prendergast births & marriages. In ref.5 a direction was given by Cromwell that Captain James Prendergast, the then possessor of Newcastle Castle, receive a license to return to his estates of Newcastle, Mullough and Frehans (which is convenient to Newcastle) only provided all Castles and Strongholds therein were to be destroyed (the two castles were both dismantled after a weak attempt at resistance). Follow these links ( Irish Identity and Wikipedia) to find out more about General Liam Lynch, for which the Liam Lynch Monument above Goatenbridge was erected. You will find an article on the Clogheen website about Shanrahan and Clogheen’s most famous cleric, Fr. Nicholas Sheehy.